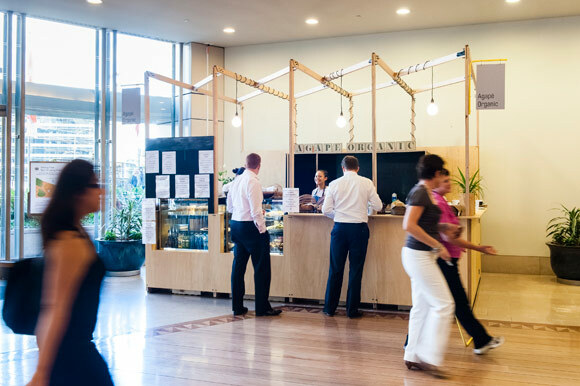 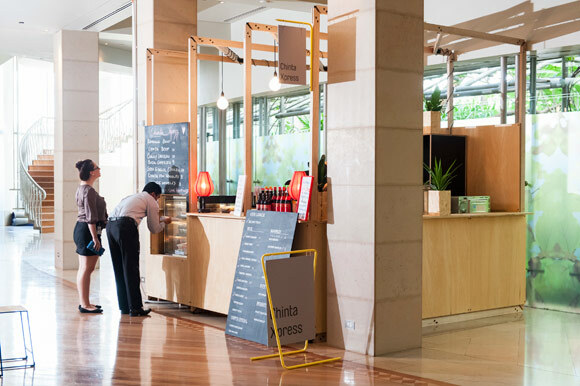 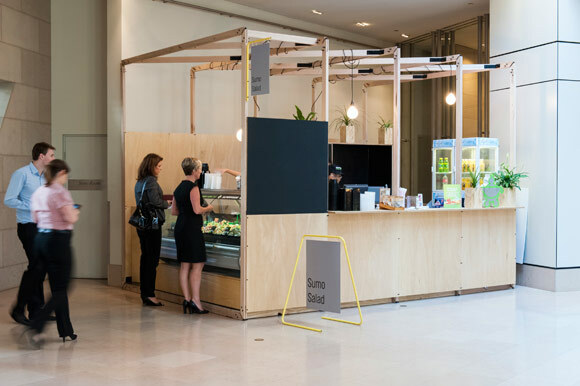 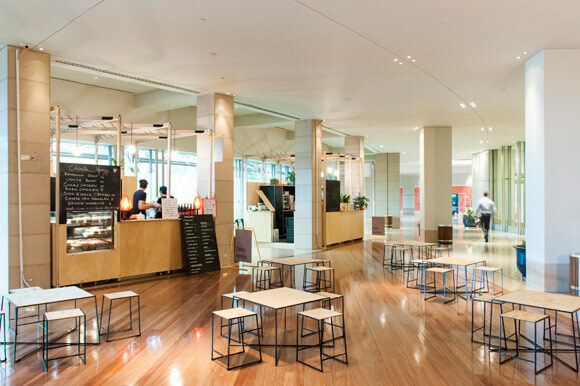 Wiltshire + Dimas’ creative expertise was enlisted by joint owners AMP Capital, Brookfield and GPT to design, develop and produce The Food Project – a pop-up dining precinct located in and around Darling Park’s lobbies. 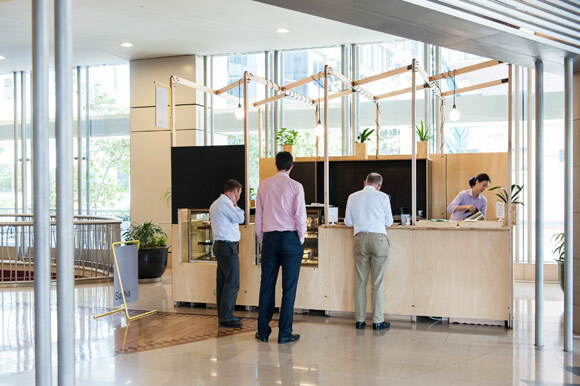 Jointly owned by AMP Capital, Brookfield and GPT, the three elegant towers of corporate hub Darling Park entered a multi-staged redevelopment in March 2013. 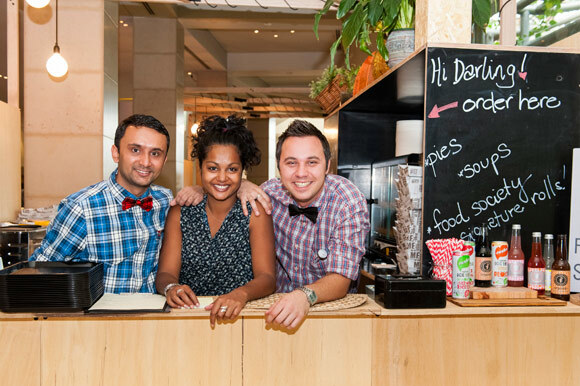 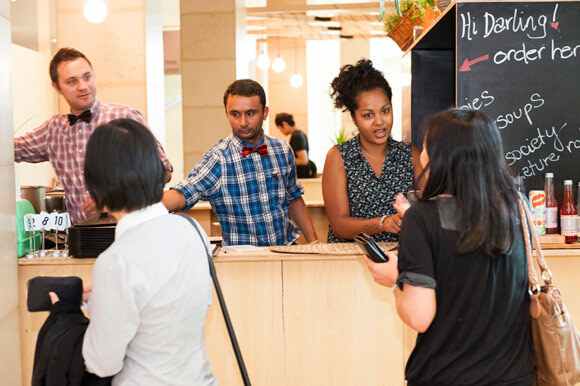 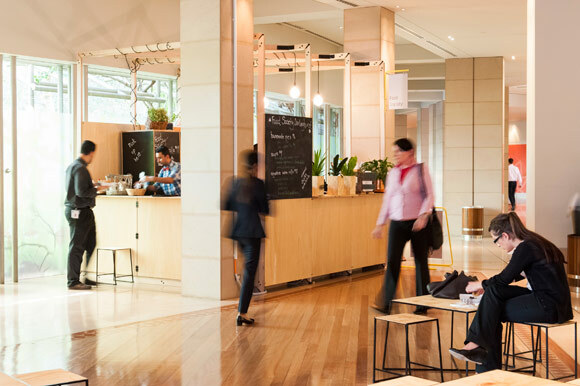 With the buildings’ resident eateries the first to close for rejuvenation, over 9000 employees from major institutions such as Commonwealth Bank of Australia and PriceWaterhouseCoopers faced months of disruption to their working lives. 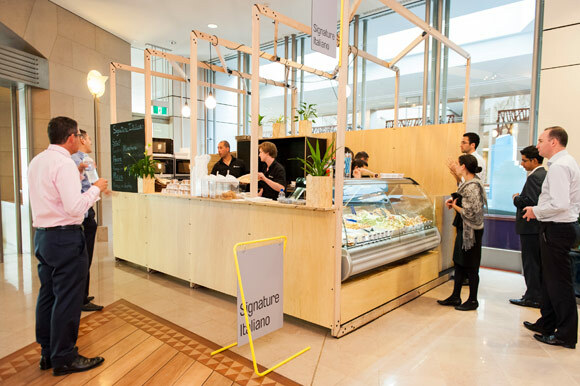 Wiltshire + Dimas’ creative expertise was enlisted to design, develop and produce The Food Project – a pop-up dining precinct located in and around Darling Park’s lobbies that would not only combat the immediate disruptions caused by the redevelopment, but also attract a new and broader customer base to the Darling Park retailers. 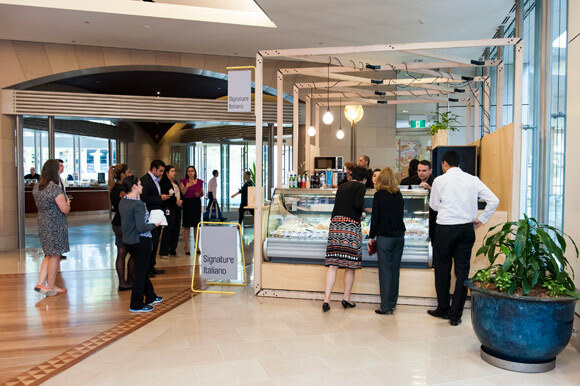 Chinta Ria (trading as Chinta Xpress), Food Society, Agape Organic, Sumo Salad, Signature Italiano and Sushia will trade as part of The Food Project until September 2013, at which point Darling Park’s new eatery precincts – Star Dining and Dream Dining – will launch as part of the redevelopment.